Father Christmas has filled his sack with stuffed animals, which he will deliver and bring joy to all good children. His loyal dog, man’s best friend, can barely wait to get going. 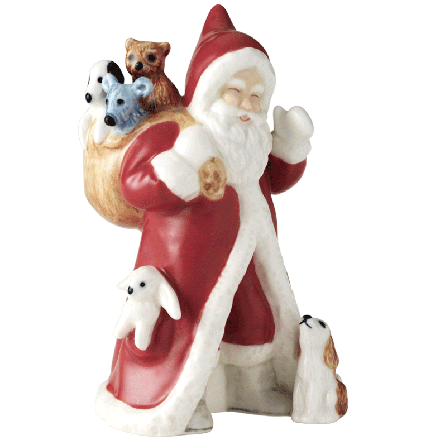 The annual Father Christmas has been produced each year since 2001 and is decorated with everything that makes Christmas special. Created once again by artist Sven Vestergaard.